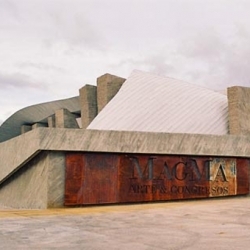 Frederic Chaubin, Cambodian born French-Spanish editor of Citizen K magazine, spent a good part of the 1980s documenting the outlandish, sci-fi architecture behind the Iron Curtain. 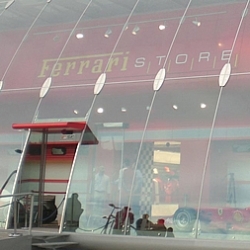 Ferrari Factory Store, Serravalle, Italy. 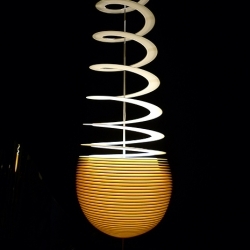 Design by Massimo Iosa Ghini. 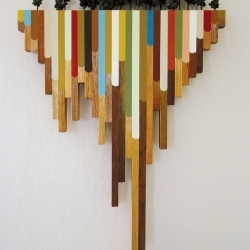 Pete Nelson is a treehouse designer and builder. 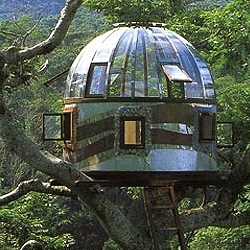 In his book New Treehouses of the World he invites everyone to see the most incredible treehouses all over the world. 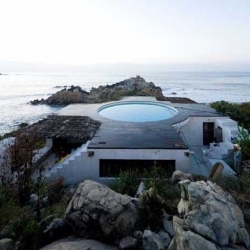 Universe Beach House is beautiful beach house design with swimming pool as houses roof was designed by Tatiana Bilbao, located on the pretty shoreline of Mexico. 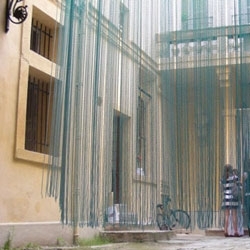 In the context of the Festival des Architectures Vives at Montpellier, France (18th-21st June), on the theme ‘Ephémères Curiosités’, ateliermob purposed to reinvent children’s universe on one antique mansion’s courtyard of Montpellier. 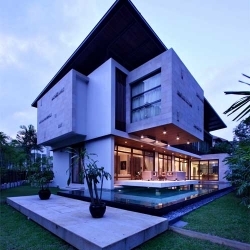 27 East Sussex Lane is luxury house design was designed by ONG&ONG Pte Ltd located in Singapore. The house is hidden behind plenty of bamboo plants which imparts a sense of privacy and an oriental outlook. 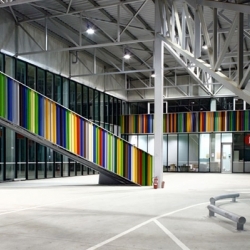 fantastic installation by you collaborative duo Smith & Clarkson. 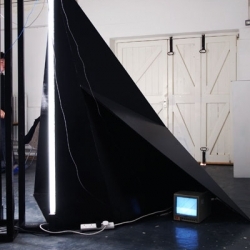 Questioning the potentiality of failure in contemporary technologies and the implications they have on architectural formations. 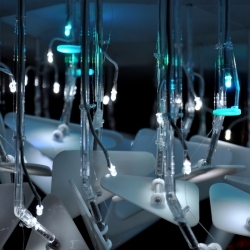 Digitally fabricated LED lighting installation by Ball State University students responds to human movement using sensor technology. 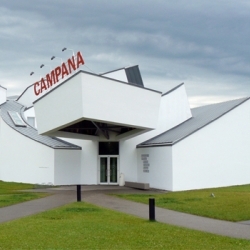 Their work was displayed recently at Beyond Media in Florence, Italy. Mehrzeller's customizable caravan is configured with an online program so each user can tailor the trailer to their individual needs and desires! 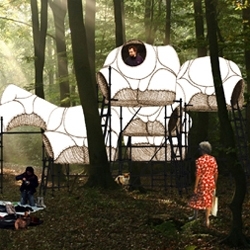 buBbLe is an independent, nomadic, flexible dwelling mechanism that allows its occupants to give an answer to different time situations. Wood meets Brick. 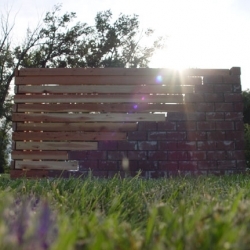 This simple fence, designed to hide a water pump, shows how two traditional materials can co-exist. 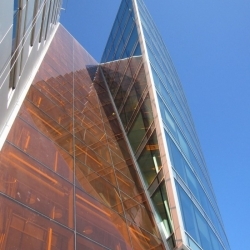 Recently completed by Peter Pran of NBBJ, the project composed of two distinct architectural forms split by the dramatic striking color glass atrium. 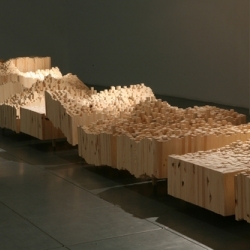 Polypropylene Detritus by PDX artist Blaine Fontana. 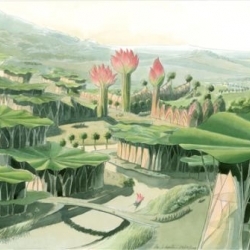 Lotus City if just one of the wonder-filled vegetal dreamscapes that architect Luc Schuiten has translated from his imagination to paper for our viewing pleasure. 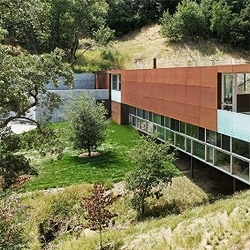 The Camouflage House is a hidden home peeking out from under the ground. 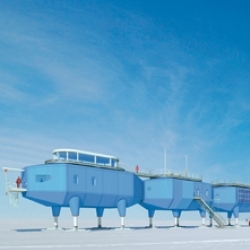 A polar ice station - part of a new book looking at Extreme Architecture from all over the world. Includes chapters on cold, high, wet and space. 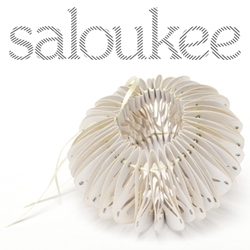 The name ‘Saloukee’ comes from my name – Sarah Louise Kelly – and I create sculptured art jewellery made in paper. 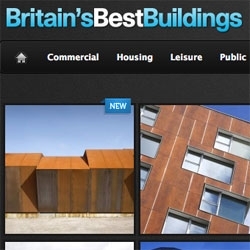 Through the use of gallery style imagery, Britain's Best Buildings aims to highlight the best in the built environment throughout the UK. 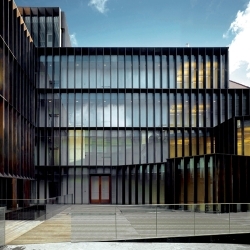 Francisco Mangado’s competition-winning archaeology museum provides a modern setting for the exhibits of a historically rich region. 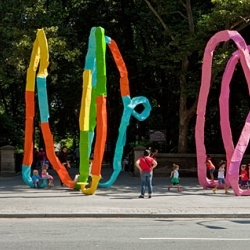 For those who eschew air-conditioning for the open air, ARTINFO chooses six of the best public art projects currently on view in New York. 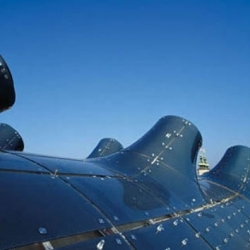 A sneak preview of Ron Arad: No Discipline, Arad's first major retrospective in the US. Running at MoMA from August 2 - October 10, 2009. 5 days to remove all the empty spaces in a room. 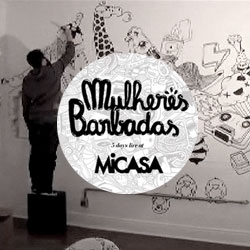 That's what Mulheres Barbadas are aiming for during their partnership with Micasa, along with other furniture and even a car. 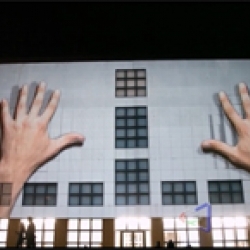 On their website you can view the action live. 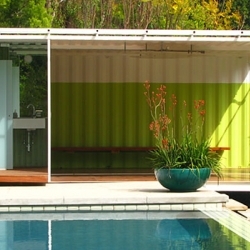 These recycled shipping container dwellings by IC Green are excellently designed and score major points in sustainability. 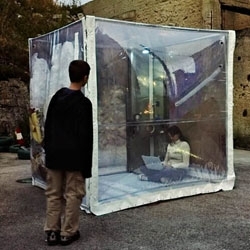 Ingenuity at its best! 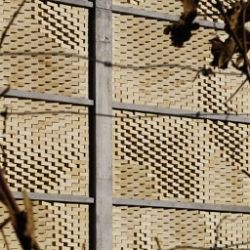 Beautiful masonry at a Swiss winery, done by bricklaying robots. 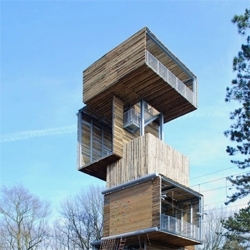 Dutch architects ateliereenarchitecten designed a bird watching tower composed of a series of stacked boxes defying gravity. 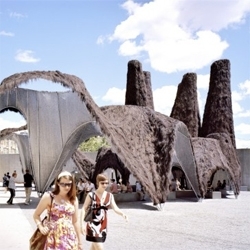 MOS summer installation at the PS1 (seen in #23544 and #22870) finally opened to the public. 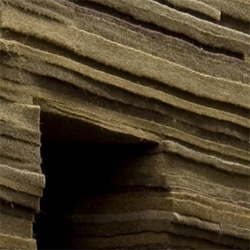 Hut-like structures act like chimneys to cool down the area with air flow generated by the heat from the faux fur. 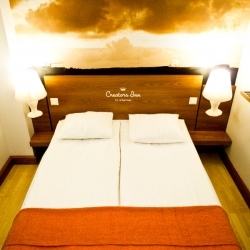 Clothing brand Elvine presents Creators Inn (offering free short-term accommodation for visiting creators) in Stockholm. 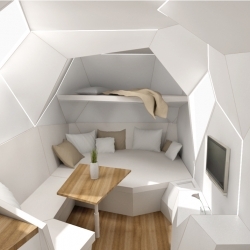 Interior design by Swedish Next Century Modern. 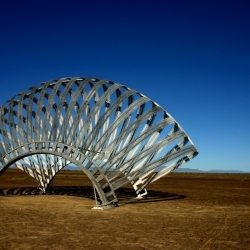 Memory - a plywood architectural sculpture..built for the annual Afrika Burn arts festival..Tankwa Karoo South Africa. 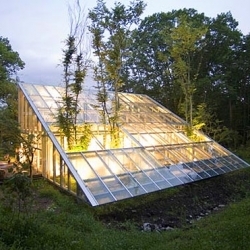 Awesome house featured in the last episode of USA's Royal Pains. 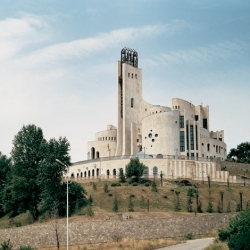 Designed by NY architect Stuart Narofsky. 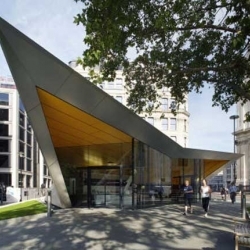 Check out his website to browse more fantastic modern architecture! 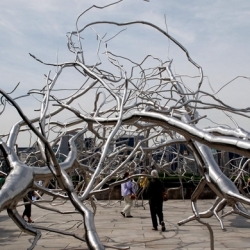 New York Met is hosting an exhibit by Roxy Paine. His imaginative creation pits the viewer in the midst of a “cataclysmic force of nature.” Entitled the Maelstrom this exhibit is Paine’s largest work to date. 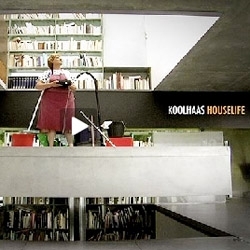 The Kunsthaus- A museum that will not collect art, nor institute permanent exhibitions. 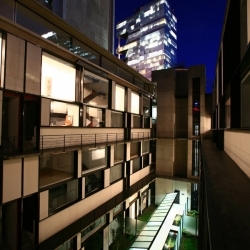 It will serve exclusively for the presentation and mediation of a wide range of contemporary artistic productions. 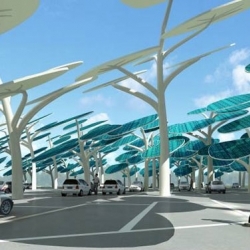 Neville Mars' Solar Forest is a shady parking lot that generates energy for your plug-in EV! 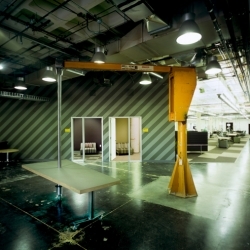 A look inside Facebook's new offices designed by O+A...the space is a former factory and retains some of the industrial elements...including this crane table. 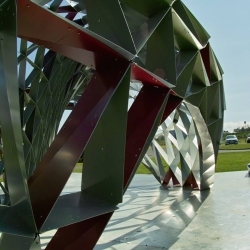 New pavilion in Reykjavik, Iceland, looks to new hopes for the economy in the future through this collaborative project. 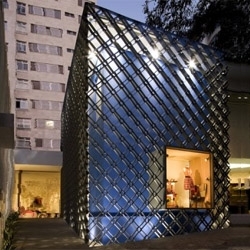 SAKO Architects have designed a store in Hangzhou, China for Romanticism, a women's clothing brand. 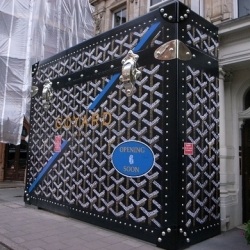 The wrapping of the soon to be opened new Goyard store in London looks great.